It’s finally here, that momentous day where, once a year, we come together to celebrate the strange, weird, gross, and outright ugly in the animal kingdom. 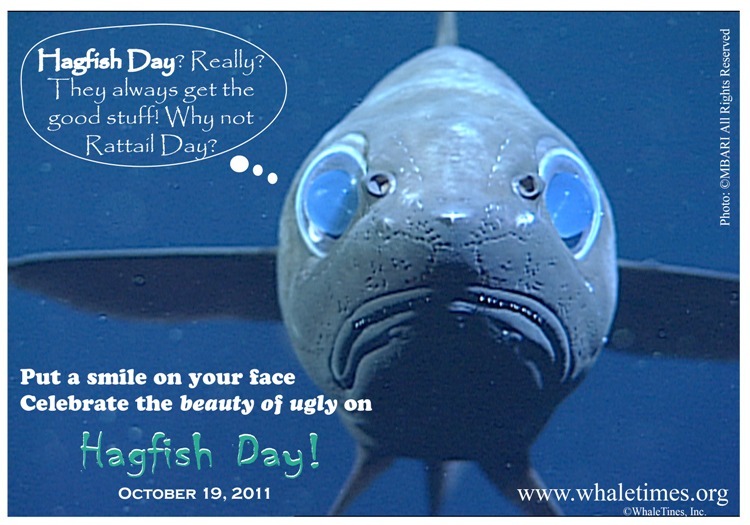 It’s Hagfish Day! Check out WhaleTimes for some outstanding educational material on the beauty of the ugly, including an interview with yours truly on a pair of exceptionally cool deep sea snails. Also featured this year is the Rattail Fish. Merry Hagfish Day, you wonderful old provannid gastropods. Merry Hagfish Day, Everyone!